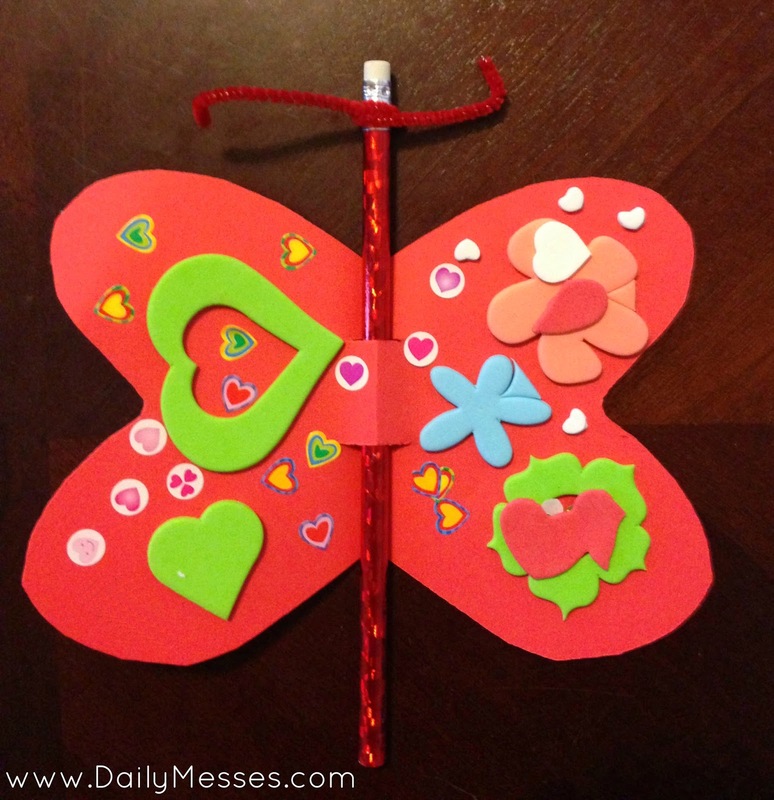 These are a cute Valentine that the kids can really get into. You can use a full sized pencil or even mini pencils or markers for the body. 1. Cut out a butterfly shape from the paper. I find it easiest to do if I fold the paper in half so the wings are even. 2. Cut two slits in the middle of the paper. This is where the pencil will slide in. 3. Slide pencil through slits. 4. Decorate the wings with the stickers. You could also draw messages or a "Happy Valentine's Day! From...." note. 5. Wrap a piece of pipe cleaner around the top of the pencil near the eraser to form the antenna and you're done!